No more stolen parking spots! 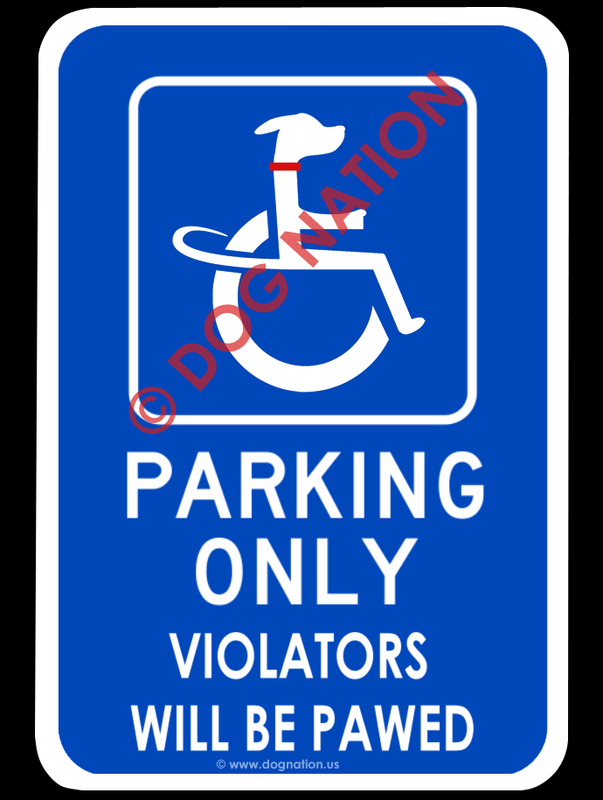 Show your best friend a little respect with a street sign designed especially for your handi-capable dog. No more stolen parking spots! Show your best friend a little respect with a street sign designed for your handi-capable dog. Drilled for mounting on any suitable surface. 8″ x 11″ standard size, .030 thick aluminum. Custom sizing is available. e-mail info@dognation.us for custom size quotes. Discount available for purchase of three units or more. Wholesale pricing is also available. e-mail info@dognation.us for volume pricing.